When I first started using the Asus Transformer Prime, I really wasn’t sure how to “make use of” it, to be completely honest. 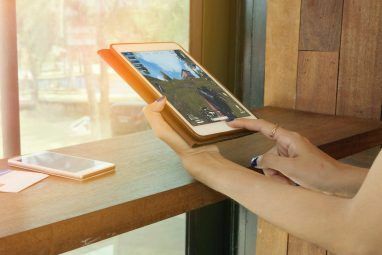 Android tablets have a ton of potential, with the ability to use bluetooth, wi-fi, awesome cameras on the front and back, a keyboard and mouse, and a small form-factor that make it highly portable. In my case there is no direct access to my 3G data account, but by tethering my phone, I can remedy that as well and get access to the Internet nearly anywhere in the world, even without a Wi-Fi network. It’s cool, but how could I put it to practical use? What I started to do was to place my Prime on my desk while I was working, and then trying to turn to the Prime whenever I needed a certain tool or utility that I wanted to use in addition to the work I was doing on my PC. In other words, I started using the Android tablet as sort of a “satellite” computer in addition to my regular desktop PC. Over time, I developed a list of valuable Android tablet apps that could come in handy in any office. In some cases, they lean toward tools that an engineer or IT professional would need, but most of them would come in handy in any office environment. They can help with increasing productivity by giving you a set of useful tools that – in most cases – does not require an active Internet connection (useful in those offices where you are not allowed to connect tablets to the network). Beyond those apps that you might initially install for general things like checking email or playing games, you may want to install any of the following Android tablet apps to help boost your productivity in the office. Whether or not you are an IT professional, the ability to check network problems can be invaluable. This assumes that you have a Wi-Fi network at your office, but these tools can also be used to troubleshoot any issues you may be having on your 3G or 4G wireless data network. The first tool to install is the SpeedTest.net app. While the app is designed more for an Android phone than an Android tablet, it actually looks okay when it’s run on a tablet – and the functionality of the app makes it extremely useful whether you’re connected to 3G at the office or using it to troubleshoot Wi-Fi issues with your laptop at home or on a public network. It’s really nice to have this sort of tool available when things go south with a laptop or computer connection. Pulling out the tablet as a network troubleshooting tool has saved me more times than I can count – because you can confirm whether the problem is in your computer or the network itself. Another useful tool if you use the tablet tethered to your mobile phone is the traffic monitor. The traffic monitor widget is a really convenient tool, right on the home screen of the tablet, that shows you all data consumption for either the Wi-Fi or cellular network you’re connected to – useful if you want to be sure not to exceed your data limitations with your cell provider. And finally, the last network tool that is invaluable when you need to find a wi-fi network to connect your laptop is the WiFi Analyzer. You really don’t want to have to pull out your laptop while you’re driving along to see when you can find a free mobile hotspot. But it’s very easy to open up your tablet on the passenger seat and fire up the WiFi Analyzer to spot a good network. Of course where Wi-Fi analyzer really comes in handy is if you need to troubleshoot issues or interference with Wi-Fi issues at work. This tool actually shows you all active networks and what frequency they are operating at, as well as signal strength and other information. If you’re responsible for maintaining those networks – this is an extremely useful tool to have by your side when you’re looking for problem areas in an office building. It surprised me how often I needed some of the simplest tools in the office, but I really didn’t want to consume screen space on my computer monitor to use them. So, the tools below really started to come in handy often, and helped me conserve my office computer for things that were more important. One example is the stopwatch and timer app. This application seems simple enough, but the usefulness became apparent every time I wanted to make sure I didn’t overrun my time spent on certain activities, or when I wanted to remind myself to check on the progress of server scripts and other things. The Stopwatch app will convert your tablet into a timer where you can configure multiple timers. Why multiple timers? Because there may be activities that always take 1 hour, or 2 hours, and if you have the timer preconfigured, you can just tap that timer and click Start. No need to set it up again every time. Another app that I can’t believe how invaluable it became is the Unit Convert app. This powerful app lets you convert from just about any unit measure you can think of – volumes, distances, etc – into any other unit measure that makes sense. What’s cool is you just have to type in the unit and the measurement, and it instantly gives you a list of all possible related units that you may ever want to convert it to. It shows every conversion. You just roll down through the list and find the one you need – very fast and very convenient in the workplace. The last productivity app that has proven invaluable to me is Scan-To-PDF. While you may not be able to use this app in the office due to picture-taking policies at the workplace, it can prove invaluable when you’re traveling or when you’re working at home. You can convert all of your expense receipts or other documents to PDF format. Why maintain a big, annoying paper file when you can store all of these documents electronically? I found that if you scan it close enough, the clarity of the document comes through pretty good. The tool also lets you rotate the scanned image prior to saving or sending via email so that it’s in a layout that makes sense. Another awesome productivity app is the Whiteboard app, which lets you instantly convert your tablet into a whiteboard. This is so convenient to use in a pinch when you’re trying to explain something to someone and you need to diagram it out for them. It wouldn’t be so easy to do this with your laptop – but holding a tablet up while you’re talking to someone to draw out a concept is really convenient. Another invaluable tool is the URL to PDF converter. This app lets you type in a URL, and it instantly converts that page to a PDF file. This is nice when you’re browsing a website with your office computer and you spot a URL that you’d like to read later. You can save the page as a PDF file on your tablet with this utility, so that later when you’re sitting in a waiting room or sitting in a conference room and waiting for a meeting to start, you can pull out the tablet and read through that web page that you didn’t have time to read before. It really is the ultimate in productivity and a nice way to expand on your normal computer use at home or at work with your tablet as a supplemental computer tool. The final list of apps I wanted to share are those that have proven invaluable in a pinch at the office. 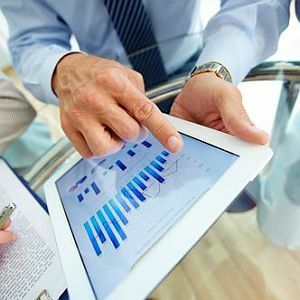 While you could find plenty of apps like these for your computer – these programs let you pick up your tablet and quickly use it in a meeting or a brainstorming session. In some cases, like the Algeo Graphing calculator, it turns your tablet into an extremely powerful desktop tool for visualizing complex mathematical formulas in graph format. All you have to do is type in the formula you want to graph or chart out in table format. Tap graph, and you instantly have the graph that you can save to file as a picture – you can send it off to a colleague to take a look at right from your tablet. One tool that may not be useful for everyone, but is extremely useful for engineers or IT professionals, is ElectroDroid. This little app has saved me more times than I can count when I needed to find the right resistor for the job, or when I was wiring up a network cable and needed the right pinout. It is essentially an all-inclusive encyclopedia of electronics information. There are included electronics calculators, look-up resources (like resistor codes), and of course a big directory of pin-outs that makes this app worth its weight in gold. Again, you could always do these things with your laptop, but when you walk across an office building or factory all day, it’s much easier to carry your tablet around than a laptop. Another app that is a bit like the whiteboard app is the DroidDia diagrams app. Think Visio in a tablet form. I completely created the diagram above in less than 15 minutes, using the included icon library. It is very, very convenient and fast to use, and it can be a great tool to show complex setups or configurations to colleagues. Of course, you wouldn’t be boosting your use of your office computer unless you could use your tablet to literally connect with your computer. This can be really useful if you want to use your desktop PC from anywhere in an office building, but if you want to connect remotely to your home PC from anywhere in the world – the Pocketcloud Remote Access tool is also the tool of choice. You’ll need to install the desktop utility on every computer you want to connect to – it’s essentially a VNC connection – and once you do, you will see that computer on your list of available PCs on your tablet app. Select the computer, click on “Connect” and voila – you are instantly connected to that computer and in full control of it as well, just as though you were sitting right in front of it. You could actually use this to connect to your home PC from work or on the road, but to do that you’d have to configure your router to forward the traffic – something that goes beyond the scope of this article. 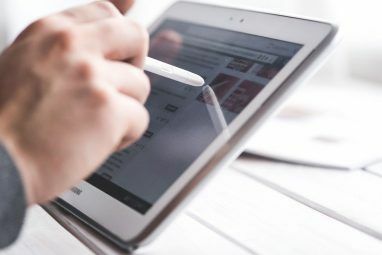 So that does it – a long list of Android Tablet apps that can really help you expand your computing power at the office. Why keep yourself limited to the desktop or laptop sitting on your desk, when you can have all of these tools and utilities available right on a tablet that you can carry with you to meetings and when you’re on the road. Do you know of any other really useful Android Tablet apps that can increase productivity at work? Share your own suggestions in the comments section below. Seems awesome, specially the last app, to remote control the pc... Lets see when my tablet arrives! Thank you for this post! Cheers! High-fives all around! Great article for Android Tablets! Nice article. This expands the use of tablets beyond their casual use of content consumption tool. This way we can create and share across platforms while still being productive. 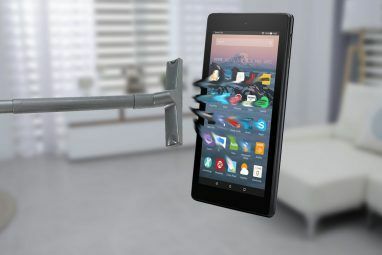 If one wants to do some productive tasks with your Android tablet,then this article list some best way you can do it.Good job.This is the sentence I want to say everyone. I do same with my android phone. That reduces load on my MAC. I was going to increase RAM, but now I switch to phone for my online tasks such as chat. whoa...WOW!!.... how much Transformer Prime? The prime can be a bit pricey still - the price ranges from $300 to $500 (US). i also use the transformer prime for inventory with a office program running excel 97 charts for xls so it can work on xp computers vista, 7, skydrive and my tablet. I love the transformer because it has a full usb on it to put a thumb drive and drop the excel file on any computer to be pushed to skydrive or other cloud programs. my inventory takes 12% of the battery when doing it and saves me 25 to 30 minutes average from old paper systems from having to re enter it in the excel sheet i needed to begin with. Very smart use of the tablet - very nice! since you are talking about the transformer prime and i am writing this to you on one. is awesome, it does the pop up window after you either wifi or bluetooth sink your phone to your tablet. This app is most enjoyed on the TF201 since we have a keyboard. all your texting can be routed to your tablet, typed up, sent back to your phone without the 4 inch touch screen keyboard or qwert keyboard on some phones. a nice 87% keyboard is better then any phone keyboard i know of. you are in the office and your phone is most likely without 25 feet of your tf201 so why not use the keyboard to your advantage. no i don't work for them i just really love the app. This sounds really cool - I'm going to have to try that app out. Thank you jesse! This is awesome! I don't have a Prime, but will be getting a Nexus soon and planned to use it for some of this stuff. Thanks for these great suggestions! this article really makes me want to get a Transformer Prime or Nexus to use at work!